Ms Czech is a leading international expert in laser photobiology and phototherapy, with over 25 years of teaching and clinical practice in laser tissue repair, dermatology and physical rehabilitation. 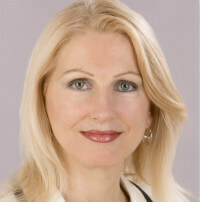 She has studied in the United Kingdom, USA and Germany and authored several government accredited post graduate courses in laser, supervises clinical research and is a regular reviewer of scientific manuscripts in the field of laser photomedicine and was made a Life Member of the International Society for Laser Medicine and Surgery for her contribution to this field. Chronic illnesses and inflammatory disease has increased and calls for new approaches in diagnosis, as well as treatment. Identifying a pathological process is no longer sufficient for the exclusive explanation of a health condition, regardless of medical speciality or treatment method. Long term success can only be achieved when all possible causes of an illness are considered and comprehensive action is taken. TCM is based on the holistic view that a human body is a highly connected, energetically open system, through which a so-called life energy or Qui flows, via invisible pathways belonging to specific organs both in energetic and medical terms and connecting to different parts of the body. As long as the routes through the living matrix mesenchyme tissue are not blocked, all systems will function, however if for any reason the matrix feedback regulation is dysregulated for a period of time a sub–clinical focal disturbance can arise. The disturbance is characterised by round-cell infiltrates, permanence of glycosaminoglycans and decompensation of neurovascular regulation and subsequent dystonia within an area of the internal body. This loss of vascular flexibility, can result in a fixed pathological change of the organ and the creation of a hidden localised inflammatory state, which will eventually develop into clinical symptoms both at a pathophysiological level, as well as at a higher energy level i.e. Qui. Therapeutic laser can now be utilised for both diagnosis and treatment of a hidden focal disturbance, which will be discussed during this 45 minute oral presentation.